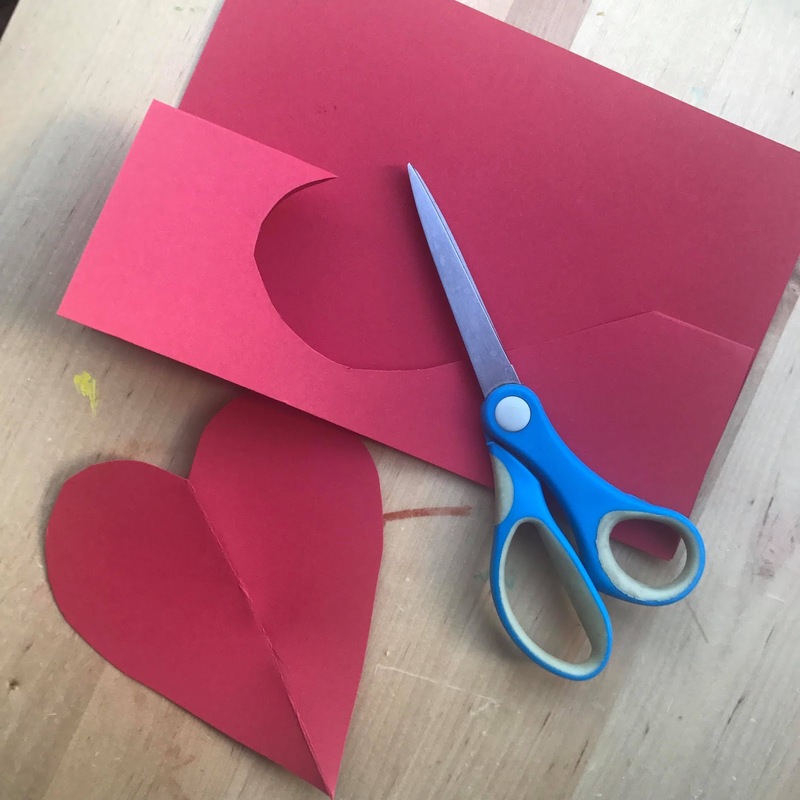 We love getting creative and Valentines is the perfect excuse to do exactly that. 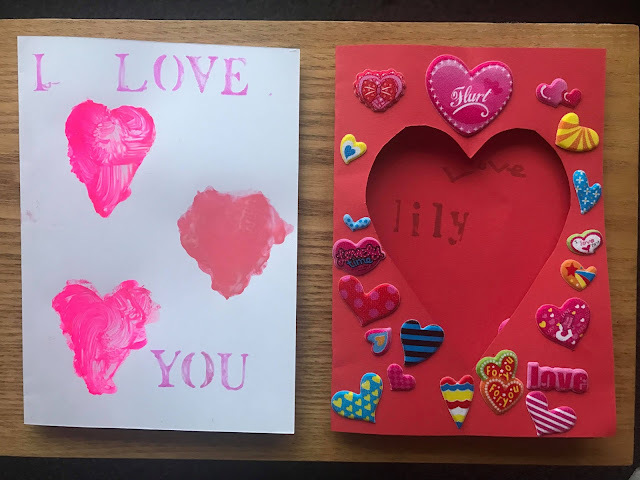 Lily decided she wanted to make cards for everyone she loves and so I got out some cards and thought of a few ideas of what we could do. 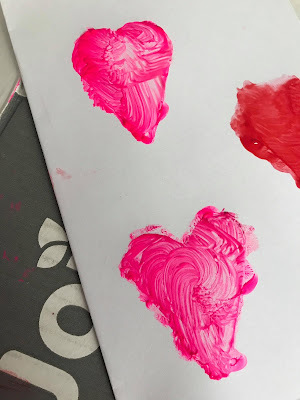 The first thing I thought of that would be nice and easy for Lily to do would be to paint some hearts using a stencil. I made the stencil myself by folding some paper and cutting out some heart shapes. 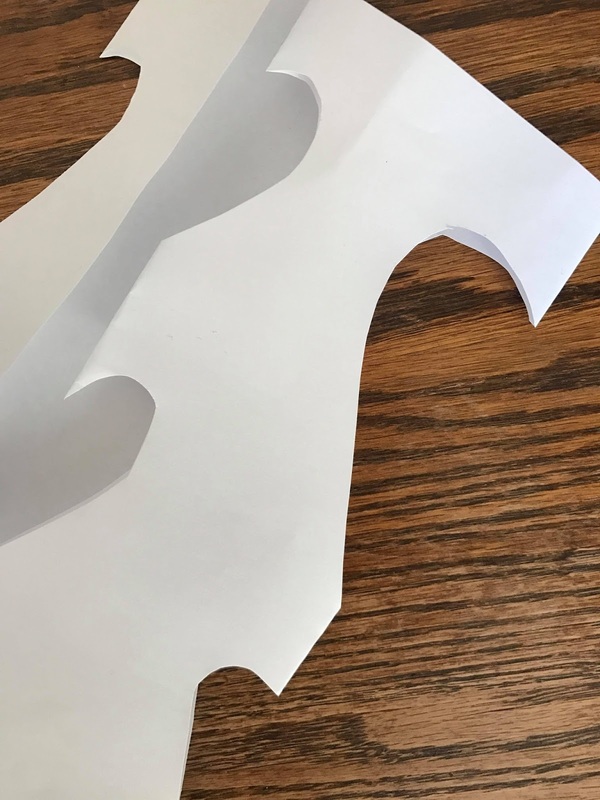 We then folded some card in half and I placed the stencil down on top of it. 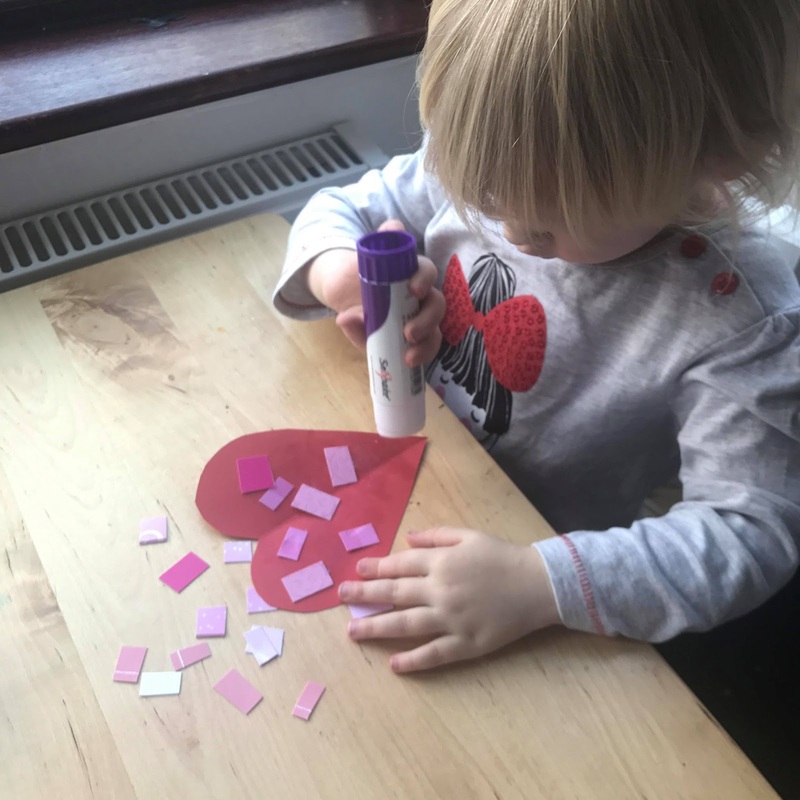 Lily then painted in the hearts and when we lifted it up we had some nice shaped hearts. This was a really good activity for Lily to do as it meant that she could create heart shapes all by herself. We then left this one to dry and made some more crafts. 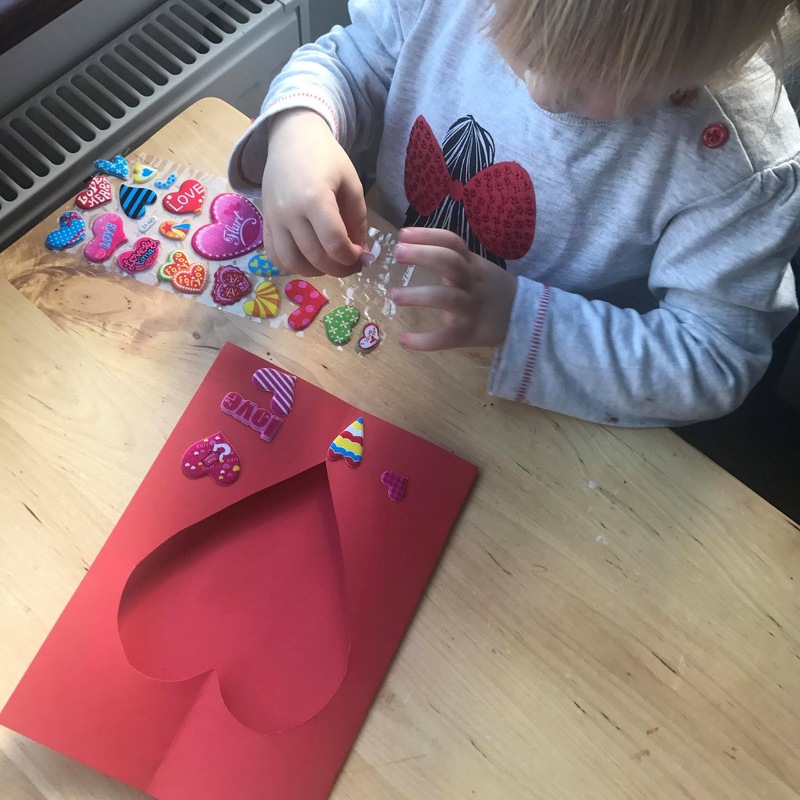 Next we made a card for Lily's Nan. 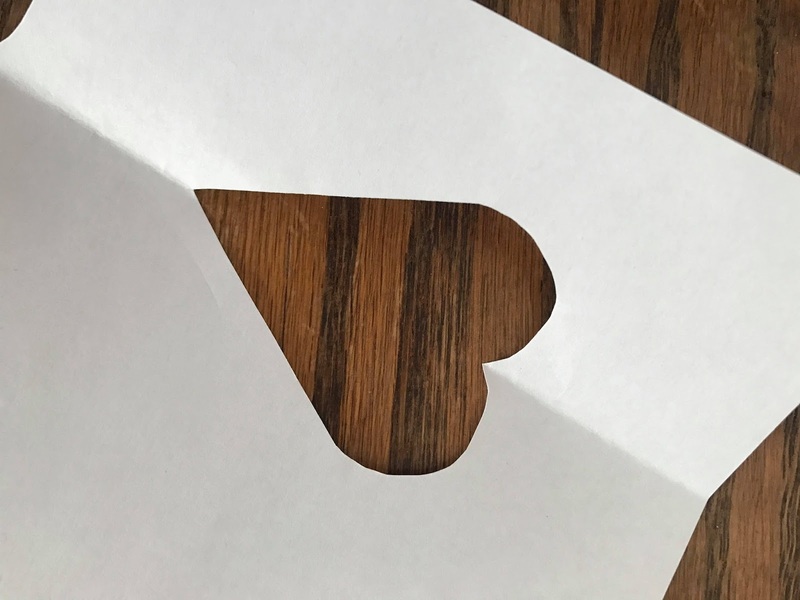 This one I folded in half to make the card and then folded it in half again so then I could cut out a heart shape. Lily decided to stick Valentines stickers all over the card and then wrote Love Lily inside it. I am waiting to get a print back to stick a picture of Lily behind the heart so it makes a heart shaped photo of her. But we also made use of the heart shape that we had cut out from the middle of the card. We used some of the pink pieces of card we had cut out from her birthday cards to make a nice collage. We added some ribbon to the top and the finished results made a nice hanging heart. 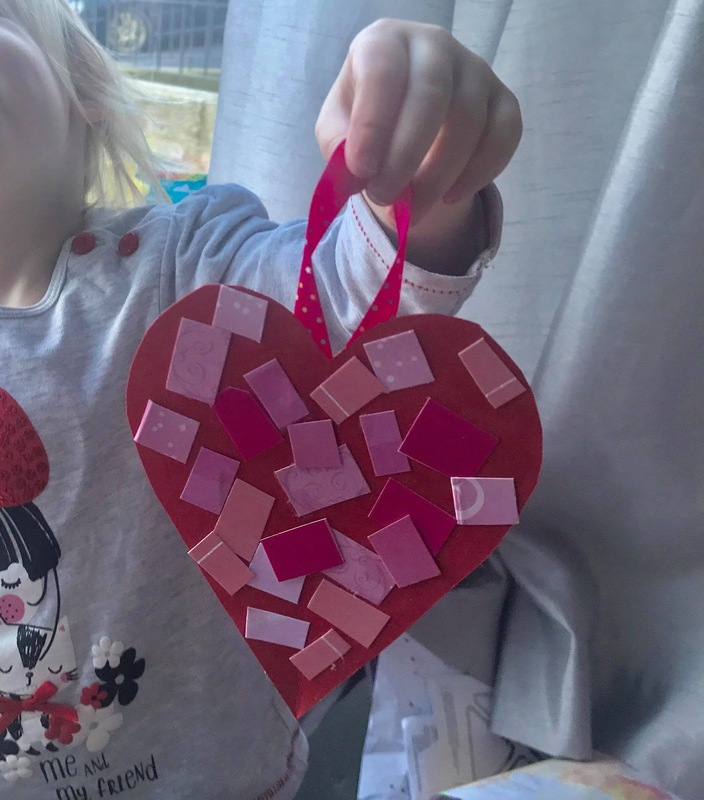 Such an easy craft to make and Lily really enjoyed it. It looks really effective when finished. The finished results of the cards looked great and we cant wait to give our Valentines Cards out next week. Have you done any Valentines crafts this week? These look fabulous and great fun to create as well! 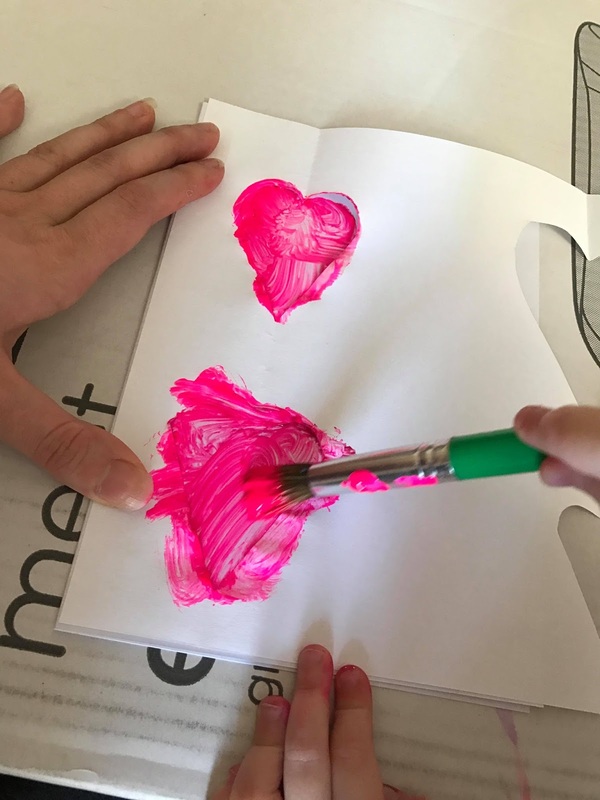 This is such a cute and creative idea - I bet that you had so much fun making them! Oh those are cute, but oh so late and maybe too early for next year. But surely keep this noted. What beautiful craft ideas , I especially like the individual touches from the kids to make these so unique, by far much much better than shop bought.